A beautiful villa in a superb secluded setting with spectacular panoramic views over the coastline. Situated in the hills, 20 minutes from Faro, a perfect location for beaches and countryside alike. The villa is built to the highest standards and there is a beautiful large heatable swimming pool (pool heating £150 per week) and a choice of terraces with barbecue for dining outside.Air conditioned bedrooms all en-suite with bath and shower. En-suite marble bathrooms with showers to all the 3 bedrooms plus Separate shower room.There is also a separate WC downstairs. All three bedrooms have excellent Daiken Air conditioning . Large kitchen with dining and family area, ceramic hob,AEG oven,microwave, dishwasher, fridge/freezer and wood burning stove. Table tennis. indoors or out doors. A Tennis court can be hired from our neighbour 10 euros per hour, Qualified tennis coaching available. Choice of three terraces plus terrace all round the pool.all with stunning views. Our Neighbour will hire her tennis court for 10 euros per hour and offers qualified tennis coaching if you wish. 15/20 minutes choice of 13 quality golf courses. including Quinta do Lago (4), Vale de Lobo (3), Vilamoura (5), Villa Sol (1). Tennis, horseriding, cycling, fishing. Water sports, Water fun park, go-karting, Great beaches, sea water lake with sailing, canoes, pedalos etc. Bird Sea Estuary Migratory Reserve with lovely walks. Indoor/outdoor table tennis. My family of 5 stayed over Christmas 2016. Our first surprise was the amount of space both inside and out. The bedroom upstairs was virtually a private suite with its own sundeck. Other highlights were the curved walls, wood burning stove, table tennis table and dish washer but the view was the best. The track up is a bit rough (mind your tyres) but we had pre-dawn walks in the lanes admiring the botany. Watch out for those striped pitcher plants flowering straight out of the ground. We are pleased Jenny and her family enjoyed our villa. Walking, beaches, flora, horse riding, tennis, water sports, water park, water sports go-kart, bird watching and lots of golf. In door out door Table tennis. 15/20 minutes to choice of beaches from very natural and quiet sand dune beaches to cliff and pine wood beaches and entertainment beaches. Some great restaurants on the beaches. 45 mins to Spanish border town of Ayamonte. 25 mins Tavira. Seville 1 hour 45 mins. 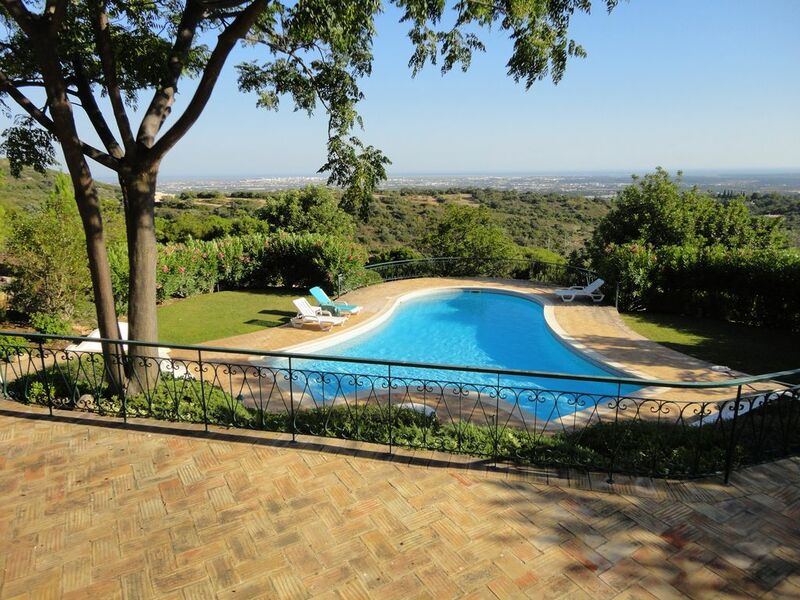 30 mins Monchique hills/spa, plus routes through Alentejo wine country and surrounding hill villages.